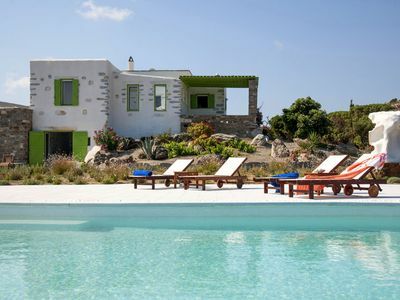 Lagada bay resort Is a prestige development on the south east coast of Crete close to Makrigialos. 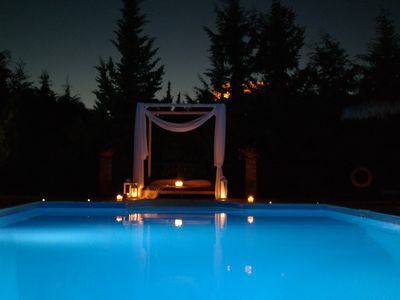 Located in a 6 acre amphitheatre in the heart of the raw Cretan countryside with private pools and just 5 mins walk from Lagada bay beach and the crystal clear waters of the Mediterranean sea. 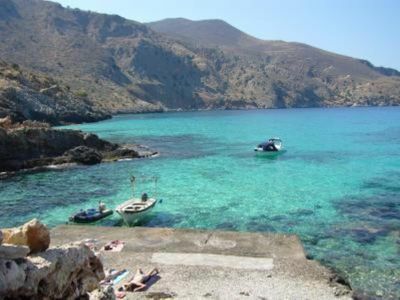 a beautiful uncrowded, golden sandy beach. 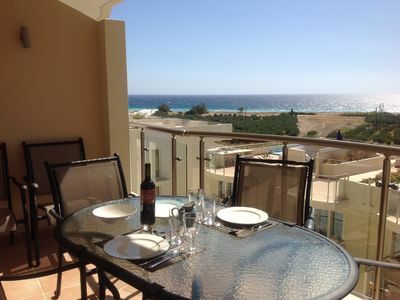 It is a small, modern resort, consisting of, Townhouses, Apartments Bungalows and Penthouses just . 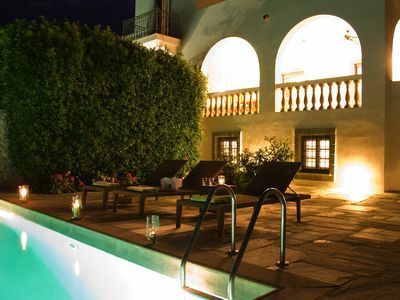 Built to the highest standards, the resort is situated in a very unspoilt, rural part of Crete. The gardens are planted with indigenous plants and herbs. 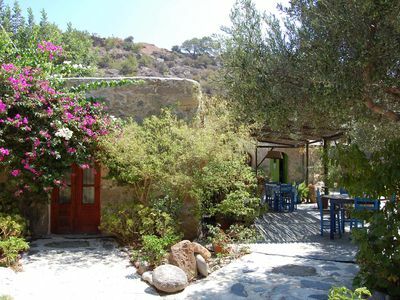 Makrigialos offers numerous, authentic cretan resaurants, cafes and bars along the beachfront. 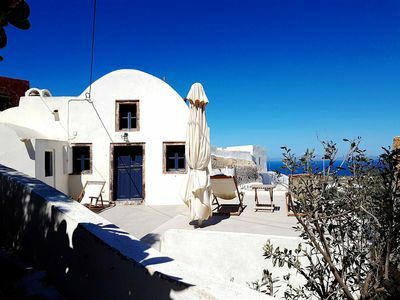 You will have the best of both worlds, a high quality holiday environment, stylish yet designed to compliment local culture, nestled in countryside, mountains and with sea views. 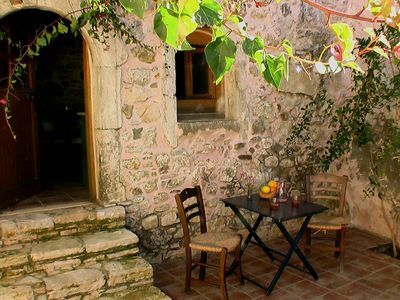 Makriyalos is the best destination in all of Crete. It is a modern town, it has a similar ambiance and lifestyle to that of a Cornish village some 20 years ago. 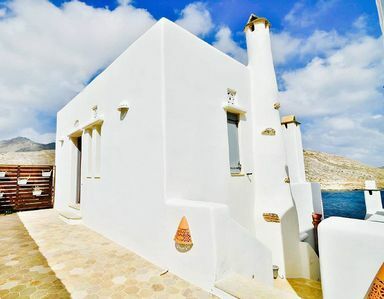 It features the Archaeological site of an ancient Minoan Country house. 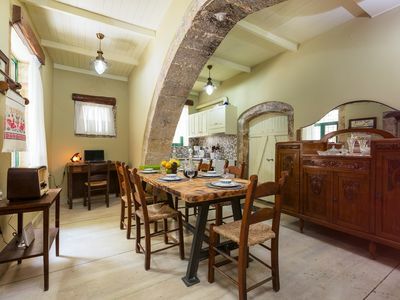 Makrigialos is characterised by some of the best beaches in Crete, secluded coves, crystal clear waters of the Mediterranean sea, outstanding and locally produced fruit, vegetables, fish, lamb, chicken, olive oil and wine. 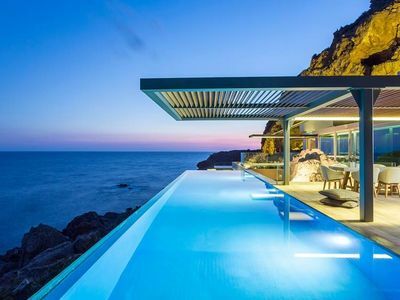 It is surrounded by thousands of acres of raw, majestic countryside and mountains. It is a short drive from cities with International shopping. 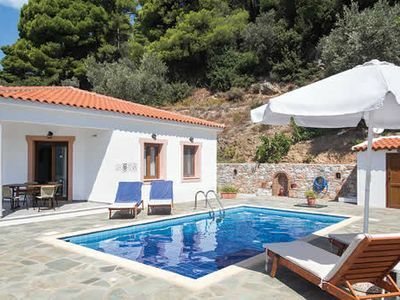 Scuba diving, water skiing, trekking, fishing, boat trips to other islands and plenty more activities are available., or just relax by the pool, or enjoy the balcony. 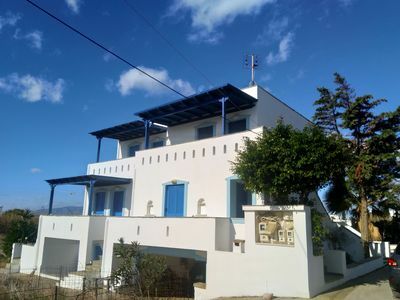 2 bedroom air-conditioned villa w/ covered terrace + private pool, sea views, 5 minutes walk to nearest restaurant. 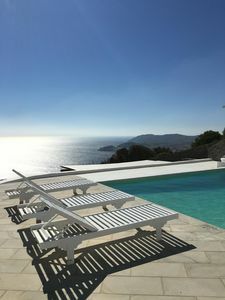 Spetses, Newly built villa w. private pool and panoramic sea view.